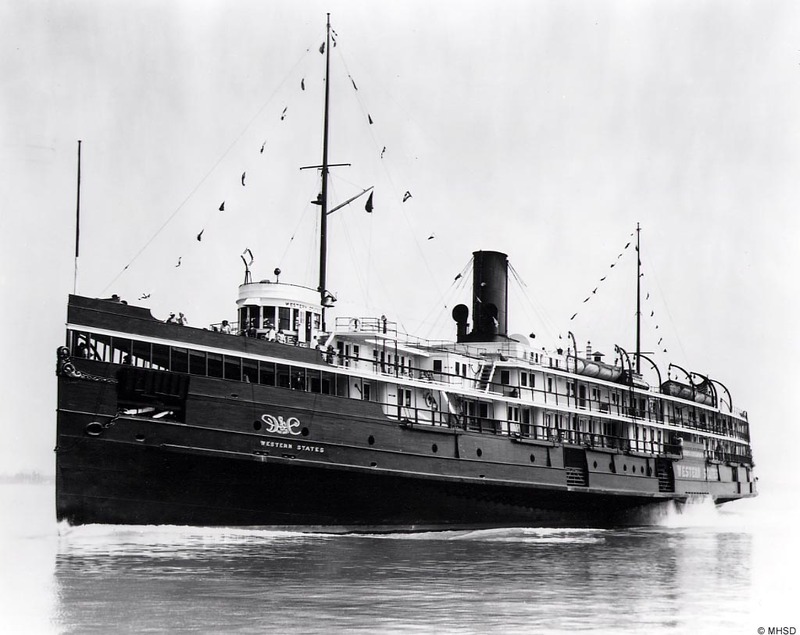 Keith Hopkin a member of the Manitoulin History group identified the steamer shown at the 7:44 mark of the video as the Western States. Western States: At the Pass Street boat docks, Buffalo, New York – 1909. – You can clearly see the side wheel in this photo. The ship in the video at the 6:44 mark may in fact be the infamous India. The India allegedly burned due to an overheated insurance policy. 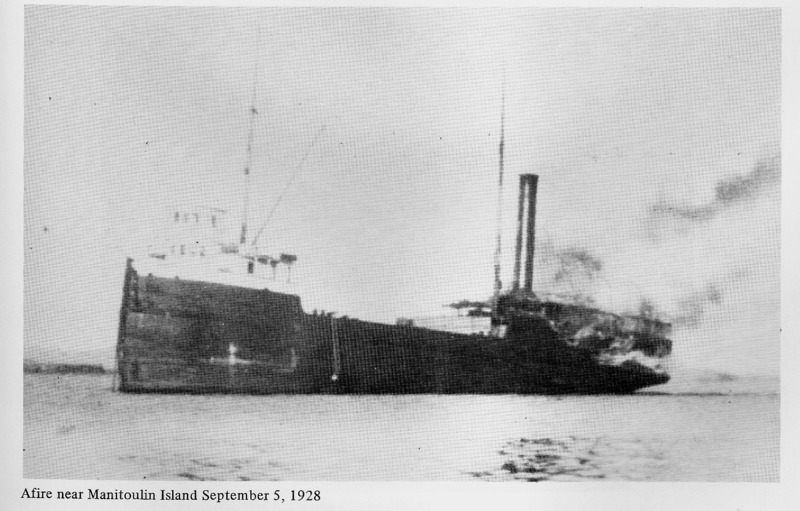 The wreck is of diving and snorkeling interest at the Mary Islands.